Most students who desire a higher education in Connecticut can do so, regardless of their financial situation. There is financial assistance available to almost every student, and if you work hard and play by the rules, you can, too. Never assume that you could not qualify for some kind of student financial aid – while not everyone qualifies, far more are eligible than they believe. It is important to recognize the different ways a student can get money to go to school. Every college can help you receive some level of Federal financial aid, such as the Pell Grant. But it is very important for prospective students to realize that every single college also provides financial aid programs that are unique to its own campus and students. It’s part of a student’s education, to track down and reveal all the possibilities that exist in every school; from the top private universities all the way down to every public or community college or training institute, there is bound to be a grant or loan that suits an individual’s circumstances. There are many types of financial assistance a student might receive. There are grants of various amounts and requirements for eligibility, these are ‘gifts’ and need not be paid back. There are work/study programs, which require of a student a certain amount of employment in exchange for tuition or other costs. The obvious benefit to work/study programs can be the real work experience a student can gain, especially if it is work in her field, far increasing the student’s value in the future marketplace. Loans of all types are everywhere; it is best to let the Office of Student Financial Aid at your chosen school guide you in finding the best fit for you, especially in terms of repayment, for which you, the student, will be responsible. Beware especially of Internet offers; these are rarely genuine and can devastate your credit before you even get out of school. The universal starting point for financial aid for school in any state is to fill out the FAFSA – the Free Application for Federal Student Aid. Once you have successfully completed this document, it can be used to apply for aid at almost any kind of school in any state. Most universities require it, the theory being that a student who qualifies for Federal aid should have it, leaving more local scholarships and grants to other students who qualify. Like most states, Connecticut has a wide variety of institutions of higher learning and technical education. Therefore, the first step should be to determine what kind of an education you need, and thus, which of its many colleges or schools you would like to attend. There is a fine State University system, with four major universities – Eastern, Western, Southern, and Central state Universities. Each has its own unique perspective and personality, and a search of the websites of these fine schools is a beginning point of exploration of the endless array of choices in higher education. Each has a link for prospective or future students that leads to an examination of financial aid available at that school. All require the FAFSA; the Eastern Connecticut State University financial aid information page details, along with a number of Federal opportunities, a few strictly Connecticut-based financial award opportunities that are worth mentioning. The CAPS Grant is a monetary award for any Connecticut undergraduate student who has financial need. 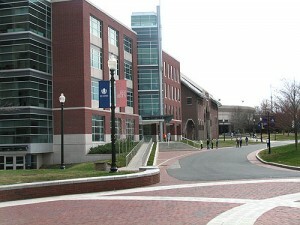 Its long name is the Connecticut Aid for Public College Students Grant Program; funds are provided by the Connecticut Department of Public Education. As you might guess, the funds are limited, and so cannot be more than the student actually needs. Amounts can be generous, however, with the largest award being $3000; need is determined by the University. To qualify, a student must complete the Free Application for Federal Student Aid. A complementary program exists, known as the Connecticut Independent College Student Grant Program, to provide financial assistance to students at private or independent institutions. Same conditions apply: student applications must have proven financial need as well as providing a FAFSA. 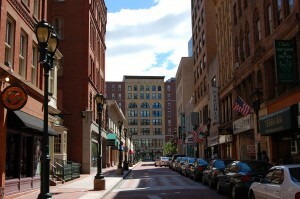 Another grant specific to Connecticut is the CSUG, or Connecticut State University Grant. This award, authorized by Connecticut State Law, allows State University Trustees to give up to $18,000 to students at Eastern Connecticut State University. At other State universities, the office of financial aid determines the amount. At Central Connecticut State University, a look at the financial aid pages in the handbook reveals more than 75 grants and scholarships, both privately endowed and university sponsored, available to students of all types, such as a full-time junior or senior in a technology education or a woman returning to higher education after an absence of more than 3 years. The four state universities do not begin to represent the whole picture of higher education in Connecticut; there are a number of independent and independent-for-profit colleges, public schools, and a number of community colleges. A quick look at the State of Connecticut Department of Higher Education will reveal the depth of educational choices that are available in Connecticut. Links to each school’s website, and each schools educational offerings, will deepen your knowledge about financial aid available, and the characteristics of each campus. Everything you can learn about your intended school and major will help narrow your choices, and help you zero in on the appropriate funding opportunities. On that same website, you can search a hyper-linked list of all possible resources, including all Federal programs and other grants and scholarships, loans for graduates, undergraduates, and families, loan forgiveness programs, as well as tax credit and work study programs. Connecticut even offers, by law, free tuition to seniors, age 62 and older. This program allows seniors to audit classes free as well as to pursue a degree program, free. Tuition waivers for seniors are available at any public college or university in Connecticut – the University of Connecticut, the Connecticut State University System, and all 12 community colleges. For more information, visit the State of Connecticut Department of Higher Education website. For most grants of financial aid, certain eligibility requirements are standard. A student must be a citizen of the US or an eligible non-citizen. A student must be working on earning a degree or certificate. The successful student will continue to make academic progress, maintaining the grade point average required by the granting institution. The successful student/applicant will not owe any refund of a previous Federal grant, and will not be in default on any education loan from the Federal government. Male students 18-25 years of age must register with the Selective Service. A great many scholarships and grants are available for anyone pursuing a teaching degree, so if you desire a life in education, be sure to investigate all avenues and sources of funding for prospective teachers. While a student is unlikely to find all necessary fees paid by a single source, the variety of those sources make it possible to gather together the funds necessary for a top-notch education. For example, many institutions of higher learning in Connecticut participate in the TEACH Grant Program, also called the Teacher Education Assistance for College and Higher Education. This program can provide grants of up to $4000 for students who intend to teach in elementary or secondary schools serving a low-income student population. Eligibility for the TEACH Grant is somewhat more stringent than requirements for regular financial assistance. First, of course, is the FAFSA, although a student need not demonstrate financial need. Student must be a citizen or an eligible non-citizen of the US. Student must be enrolled at any level in an institution that participates in the TEACH Program (not all do, but most are applying to do so). Be enrolled in coursework appropriate to your chosen career of teaching, either teaching courses or subject material courses. Maintain academic standards – either by scoring at the 75th percentile or above on a college admissions test or by keeping a GPA of 3.25 or better. Sign a TEACH Grant Agreement to Serve. This is the most important criterion of eligibility and must be renewed each year a student receives a TEACH grant. The TEACH Grant is meant to support teachers in high-need fields, such as Bilingual Education, Mathematics, and Special Education. Other fields might experience a teacher shortage by the time you begin your career. The US Department of Education publishes a list of subjects that are experiencing a shortage of teachers in its annual Teacher Shortage Area Nationwide Listing, which you can access at Ed.Gov. Students desiring to teach may also be eligible for minority-based awards, such as the Minority Teacher Incentive Grant or the Weisman Scholarship. To be eligible for such an award, the student must fulfill the following conditions. Student must be a full-time college junior or senior of African-American, Hispanic, Native American, or Asian descent. Student must be nominated by the Dean of Education at his or her school. Student must teach in a Connecticut public school within four years of graduation. Both of these grants provide $5000 per year for education costs, as well as a $2500 stipend, for two years. Poor communities and students from low-income families are the end recipients of the TEACH grant, bringing quality teachers, by agreement, to such students. Teacher-recipients must agree to teach high-need subjects in high-need communities, for a specified period after they matriculate. Students have eight years in which to teach a total of four academic years as a “highly qualified teacher,” as defined by certain legislation, under his or her agreement. If a teacher-recipient fails to live up to that agreement, the grant converts to a loan, with interest accruing from the date of the first disbursement of funds. As always, you will find a link to the FAFSA Application on every single website. Step one in seeking financial aid is to fill out the Free Application For Federal Student Aid. Their home page includes a link, in the Before Beginning a FAFSA, to the FAFSA on the Web Worksheet. This is an excellent introduction to the application, because it gives you a clear idea of what is actually required on the FAFSA itself. When you have gathered all your information, you will be ready to complete the easy online application. The first section describes you, the student seeking financial aid. You will have to attest to your citizenship, but you should know that financial aid is not limited to US citizens. Many people could be eligible for financial aid, such as resident aliens, refugees, and those who have been granted asylum. A student’s marital status and Selective Service status (for males 18-25) must be indicated, as well as an unusual eligibility box having to do with whether or not you’ve ever attended college, or received federal aid before, or whether you’ve had a drug conviction. Other questions will be asked online if you answer no to any of these questions. Questions follow about your parent’s education, and others follow which define whether you are dependent upon them for financial support. If you check any of these boxes, you are not a dependent and therefore do not need to fill out the parent information. If you do not check any of the boxes in this section, then your parent, either a biological parent or someone who has legally adopted you, must fill out Section 3 – Parent Information. If your parents are divorced, the parent you lived with the most in the last 12 months, or who provided you the most financial support in that period, is the one whose information is pertinent. If your parent has remarried, then provide information about the new partner, too. Your parent’s information includes name, date of birth and social security number, as well as a check box that asks if the parent is a dislocated worker. For a definition of dislocated workers go to the DOE’s site on dislocated workers. Tax return information and income for both parents is also required. There is a section where the parents indicate whether they, or anyone in their household, received certain types of Federal aid during the last two calendar years. Every possible type of income that parents could call upon for the education of their child is explored, including pension and savings plans, tax-exempt interest income, and veteran’s non-education benefits. FAFSA may ask for more information to determine a parent’s net worth. The student’s financial situation is explored as well, and the same examination of assets is needed. The FAFSA is the one application you need to start the search for financial assistance in higher education. The results of the FAFSA will be sent to the colleges you indicate, and will ensure that their office of financial aid will be ready for you when you begin your search. Go to the FAFSA website and begin your search for the future by starting with the worksheet for the Free Application for Federal Student Aid. As the name suggests, it is free to apply; the potential results have the power to change your life in ways you have not yet dreamed possible. I am a teacher in an alternative school in New Haven, CT. I am interested in getting my masters degree and would like to know if there is any scholarships, grants or financial aid available for me. I have been teaching in the alternative education setting for 11 years and I belong in that setting, yet would like to further my own education. What programs are available to me, and what universities are available?